"This acquisition is another step forward in our commitment to continue adding the best and biggest sports to our programming lineup," according to Telemundo Deportes' president, Ray Warren. "We are excited to bring Telemundo viewers one of the most anticipated matchups of the year, complemented by extensive pre/post coverage led by our renowned experts." Telemundo Deportes' Andrés Cantor, Miguel Gurwitz, Sammy Sadovnik, Eduardo Biscayart and Carlota Vizmanos will lead the Final's coverage, live from Madrid and Telemundo Center in Miami. 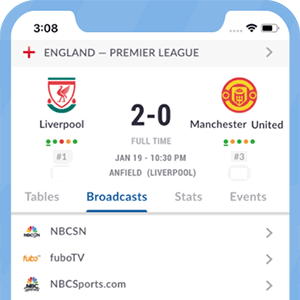 Telemundo Deportes' digital platforms will continue providing the latest news around the game including previews, analysis and video highlights. In addition, "Tercer Tiempo," Telemundo Deportes' Emmy-nominated sports analysis show that focuses on Premier League, will precede Sunday's broadcast of Copa Libertadores, featuring special segments and analysis around the matchup, beginning at 1:00 p.m. ET. A post-game show will air following the match. The second leg of Copa Libertadores was originally scheduled to be played on November 24. Violent acts from River Plate fans against Boca Juniors' bus forced CONMEBOL to postpone the game and to have it played away from South American soil.